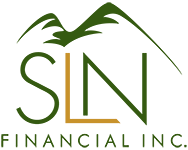 The Case for Taking RMDs Early in the Year | SLN Financial, Inc.
Never deal with the 50% penalty. Is an RMD is missed, there’s the dreaded 50% penalty that must be dealt with through the IRS. Even with the year-of-death RMD, if someone takes their RMD early, but dies later that year, there’s no year-of-death RMD issued since it’s already taken. Relieve your RMD stress. If you despise the late-year pressure of taking your RMD, taking yours earlier puts less pressure on beneficiaries. If it’s still early in the year and one beneficiary dies before taking their RMD, there’s much more time for the other beneficiary to take a year-of-death RMD. Is taking an RMD earlier in the year right for you? We’re here to help. Feel free to call us and we can help in making the right choice for your situation.